Does Democracy End At Dover? Conservative Party MPs, coming as they do overwhelmingly from English constituencies, have discovered a new enthusiasm for more representative democracy in the current Westminster Parliament. 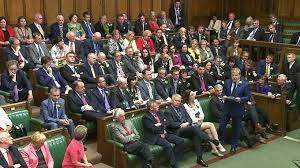 Whether this is solely out of high-minded philosophical principle, or from rather grubbier psephological considerations, one cannot say: but that the election to Westminster, at the May 2015 General Election, of 56 Scottish National Party MPs has re-awakened awareness among English MPs of the iniquities of the West Lothian Question is an indisputable fact. To their credit, they’re right to be concerned. Despite the SNP’s pre-election pledges that its MPs wouldn’t use their votes in Westminster on issues affecting England which are devolved matters in Scotland, it wasn’t long before those promises were being broken. Scottish MPs have been inventive – some might say speciously so – in deploying a tortuously-constructed argument, that policies intended to apply only in England can somehow also have unexpected and (conveniently unspecified) adverse knock-on effects in Scotland, as a rationale for resiling from their prior commitment. And so the issue of an exclusively English Parliament, or English Votes for English Laws, has come back into prominence. Irrespective of the precise method that will eventually be chosen to implement EVEL, English MPs are rightly re-asserting a fundamental principle: that the laws governing the citizens of a polity can legitimately be those, and only those, made by, and only by, the representatives directly elected by the citizens of that polity, and whom they can remove from office via the ballot-box at the next election. So far, so democratically-exemplary. But after this point, things start to get more tricky. Because many of those English MPs have also declared that they will both campaign, and vote, for the UK to remain a member of the European Union. And the EU, as a polity, is a very, very long way from being democratically-exemplary. To understand why, we have to consider the very concept itself of the demos. The collection of people, almost always most-definable territorially, whose citizens – even when not mutually-acquainted, or ethnically-homogeneous, or religiously-affiliated – nevertheless feel that they do share enough of a common identity, set of values, and sense of being (even distant) co-partners in a joint enterprise, that they will accept one legislature, and one body of laws, as being legitimate to govern them all. There’s undoubtedly a strong English, and even a strong British demos. Superficially, I might not appear to have much in common with someone of a different ethnicity in Birmingham, or a different religious-affiliation in Bradford: but the point is, I do feel sufficiently like them, and sufficiently part of the same collective political enterprise with them, that I’m prepared to live politically-alongside them, under a democratically-elected government chosen by us all, and a body of laws, made only by that government or its similarly-elected predecessors, applying equally to us all. Even to the extent of consenting to part of my income or wealth being abstracted by a government which we have together elected, and redistributed to them if they’re in need. That’s what the demos means. But there’s no EU-wide equivalent of this. I don’t feel remotely xenophobic or hostile towards someone in, say, Bialystok, or Bologna, or Bilbao: but, crucially, I also don’t feel anything remotely approaching such a sufficient degree of affinity, or sense of co-partnership with them in a common “European” political enterprise, that I want or am prepared to consent to be part of the same pan-European political space, under the same pan-European government, and the same pan-European body of laws. There is little evidence of such unwillingness being anything other than strongly reciprocated, among hundreds of millions of people, all over Europe. That does not, as the EU likes to pretend, equate to “xenophobia”, or “nationalism”. It means merely that the criteria which must be fulfilled for a democratically-legitimate polity encompassing all 28 EU member-states to emerge and subsist aren’t capable of fulfilment by popular consent. The ineluctable conclusion, therefore, is that, as history has so often proved but the EU is philosophically-resolved to ignore, the territorially-defined sovereign nation-state, governed exclusively by its own legislature that is democratically-elected by universal suffrage, is the largest political entity in which the pre-conditions required for a politically-legitimate demos can be fulfilled. To emphasise, there is no “European” demos. So, I contend, the European Union is democratically-illegitimate as a concept at the fundamental level of political theory, even before we confront the physical democratic deficit of the European Parliament as its purported legislature. To start with, even the basic numerical comparisons are strikingly unfavourable. The entire aggregate UK electorate elects a full 100% of Westminster MPs: but no more than a mere 9.7% of MEPs. The average number of electors represented by a Westminster MP is c.68,000: but for each of the UK’s 73 MEPs, that figure is c.840,000. (Intriguingly, the equivalent Luxembourg figure is c.77,000). How any UK MEP can properly represent and address the EU-relevant concerns of nearly 840,000 constituents is a moot point. But an irrelevant one: because even their theoretical ability to do so is so severely constrained by the democratic deficit of the Parliament itself. Members of the European Parliament, despite being elected, must be among the most politically-emasculated and impotent legislators in the democratic world. MEPs, whether individually or collectively, can neither initiate, propose, reject outright, or repeal EU legislation. Those are all rights reserved exclusively to the unelected, and therefore both lacking-in-mandate and democratically-unaccountable, members of the EU Commission. 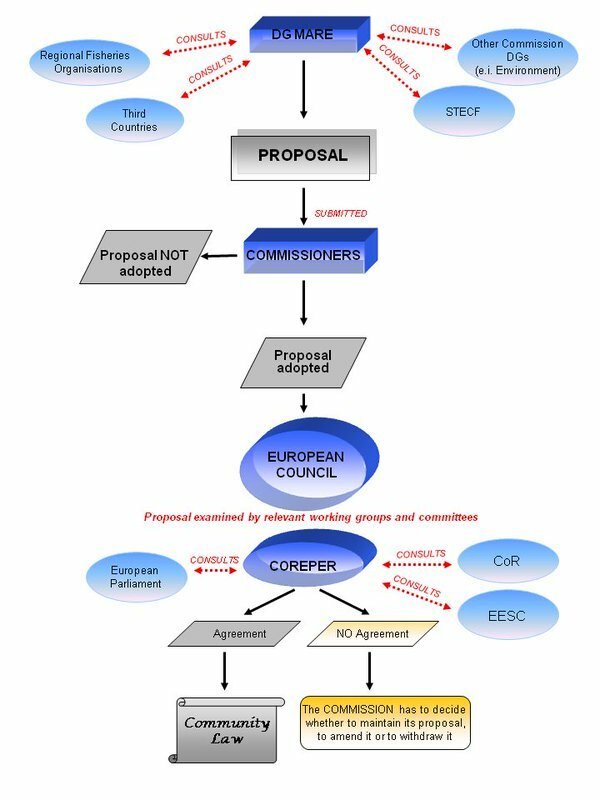 In the European Parliament, it’s the appointed, not elected, members of the European Commission, meeting in private, who have the sole right to propose, repeal or amend the corpus of EU laws, directives and regulation that constitute up to 70% of the new legislation having application in the United Kingdom. As the graphic shows, the Parliament’s role is barely even consultative: its legislative influence, I’d suggest, is, in practice, negligible. Contrast that with the Westminster Parliament, where any MP may introduce a Private Member’s Bill, and moreover, via one of no fewer than three different methods available. Two of the greatest social reforms of the last 50 years – the decriminalisation and legalisation of both homosexuality and abortion – were both the outcome of Private Members’ Bills. To pretend that this sham legislature somehow equates to, or confers on the EU, any democratic legitimacy whatsoever, is little short of a linguistic travesty. 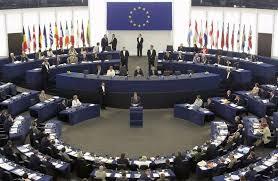 It is truly a Potemkin Parliament, rendering the European Union democratically-illegitimate in practice. regrettably necessary anyway to ensure the smooth functioning of the trading bloc. To propagate this myth is a grotesque lie, and is cynically to stand both history and truth on their heads. For, as anyone with knowledge of the EU’s founding and history knows, not only was the EU primarily a political-integration project right from the start, with trade and economic convergence being merely its ostensible purpose to conceal that: but it was also deliberately conceived, designed and constituted specifically to be, not just undemocratic, but anti-democratic. 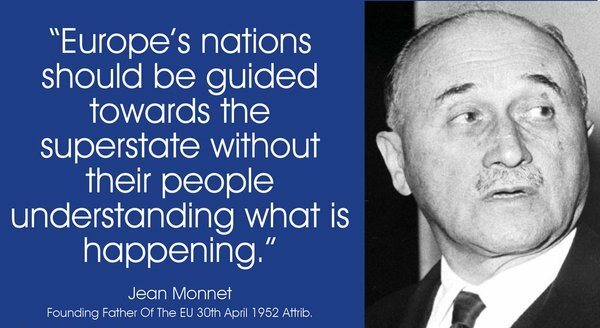 The EU’s founding fathers, particularly Monnet and Spinelli, were profoundly distrustful of voters, and viscerally antithetical to nation-state democracy. Building on original semi-utopian pan-European ideas circulating in the 1920s and 30s, they drew from the two World Wars the wrong conclusion: that it was the mere existence of nation-states in themselves, rather than the emergence within some of them (and only some of them, remember – when did Switzerland, Luxembourg or Norway last launch an aggressive war?) of fundamentally bad ideas like aggressive Communism, Prussian-Militarism, or Fascism, that inevitably led to war. It is this same self-delusion and deception that today leads the EU to claim implausibly that it, rather than NATO, has been and is the guarantor of a Europe at peace. They set out, therefore, to promote the creation of a supra-national political entity in which the decisions and preferences of the citizens of sovereign democratic nation-states, expressed through the ballot-box, would be bypassed, ignored and ultimately superfluous, enabling rule by an appointed class of technocrats-bureaucrats, immune to the caprices of voters and the need to obtain their consent. That ethos still prevails in the EU of today. It isn’t even particularly concealed or denied. It was expressed perfectly by the former President of the European Commission, the Maoist Jose-Manuel Barroso when insisting only a few years ago that “democracy is dangerous”. The EU’s democratic deficit is neither accidental, nor incidental. It is deliberate and fundamental to it, and was designed-in from the start. This, then, is the gimcrack-polity, demos-lacking, democratically-flawed in both concept and practice, artificially constructed and imposed top-down by successive cadres of an unelected, unaccountable, largely self-selecting, pluralism-contemptuous, voter-consent-averse, bureaucratic-technocratic elite, and maintaining a near-powerless Potemkin Parliament as a sham legislature to provide a wholly unconvincing facade of democratic legitimacy, inside which so many of those English MPs who enthusiastically support EVEL – ostensibly in the name of representative democracy, remember – nevertheless fully intend to vote to keep the United Kingdom locked..
F Scott Fitzgerald speculated that the ability to hold two contradictory opinions at the same time and still function was the mark of a first-rate intelligence: Leon Festinger suggested, on the other hand, that it was a strong indicator of cognitive dissonance. As far as those English MPs simultaneously supporting both EVEL and the UK’s continued membership of the EU are concerned, my inclination is to regard Festinger’s explanation as the more likely. Because their stance isn’t merely politically inconsistent: it’s also manifestly intellectually incoherent.